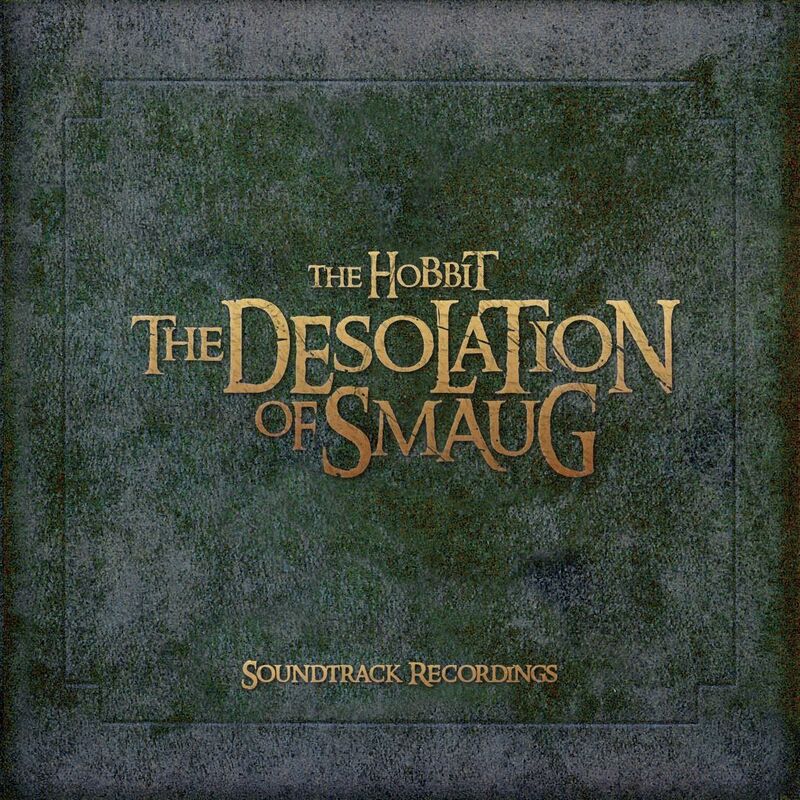 My main reason for looking forward to Peter Jackson’s The Hobbit was all the new music composed by Howard Shore. I even was happy about the fact, that suddenly there should be three movies instead of two – meaning that even more music would be composed and released as soundtracks (and probably Complete Recordings) in the wake of the films. Another fun aspect for me of course, was designing custom covers. 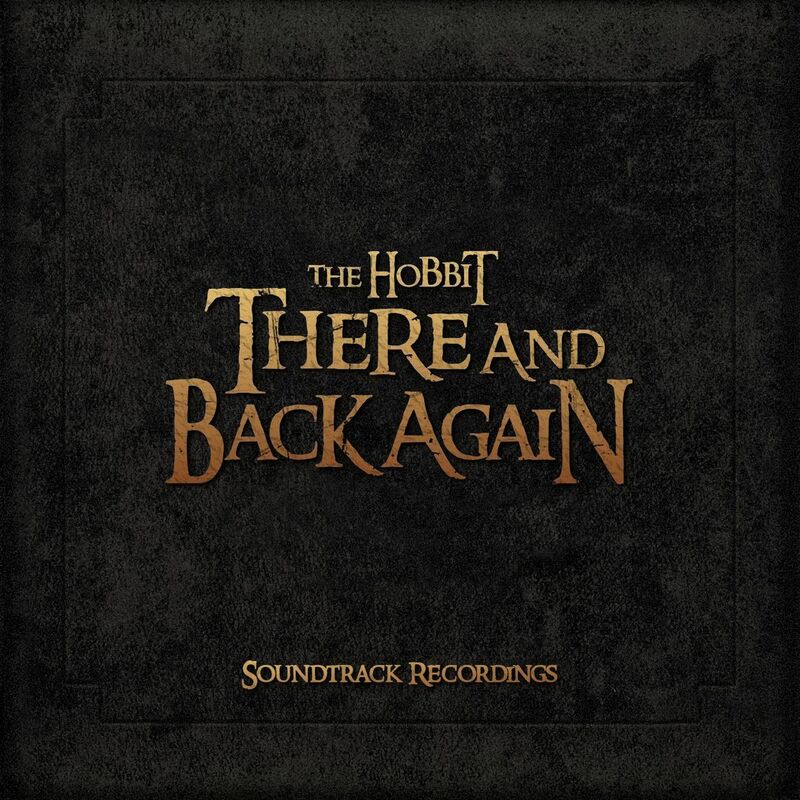 Looking back at the fun I had with all the The Lord of the Rings soundtracks and it’s various covers, I couldn’t wait to get my hands on the actual score from The Hobbit. And so – not a month after it’s official release – here are my customs for The Hobbit: An Unexpected Journey. First of all I want to present a custom design not made by me (#1). I don’t know where this came from. I could only track it back to a LotR discusssion board, but it wasn’t stated who has done it. I’ve slightly edited the album credits to make it fit into this series, but that’s the only responsiblity I’ll take on that one. For comparison (and completion) the next two covers are the official artworks for the Standard Edition (#2) and the Deluxe Edition (#3). The first real custom cover I did myself, was one for the not-so-unexpected Complete Recordings (#4). This design is based on the official artbook for the film. The only slight challenge on this one, was removing the unnecessary text, while keeping the texture pattern in the background. My version of an Extended Edition of The Hobbit: An Unexpected Journey (#5) is obviously based on the old Extended Editions from The Lord of the Rings. First I came up with a new logo for the film, then I changed the template background to a brownish tone and added the tagline at the bottom. I enjoyed making this design so much, that I even created versions for the other two installments of the Hobbit trilogy, The Desolation of Smaug and There and Back Again (as it was still called back in 2012). Although I had a little trouble finding appropriate background colours. The next few customs (#6 to #12) are all based on various teaser and promo posters. I badly wanted to have one cover with the main door to Bilbo’s home on the front, because of the fantastic lightning of that scene. But I couldn’t find a proper image to go with it. After numerous atempts to crop the image onto the door (#9), I just went with the image with Gandalf in it. I also made a little nod (#13) to one of my old Fellowship covers (…which will be published a little later… I promise). I like the colour palette a lot on this one. 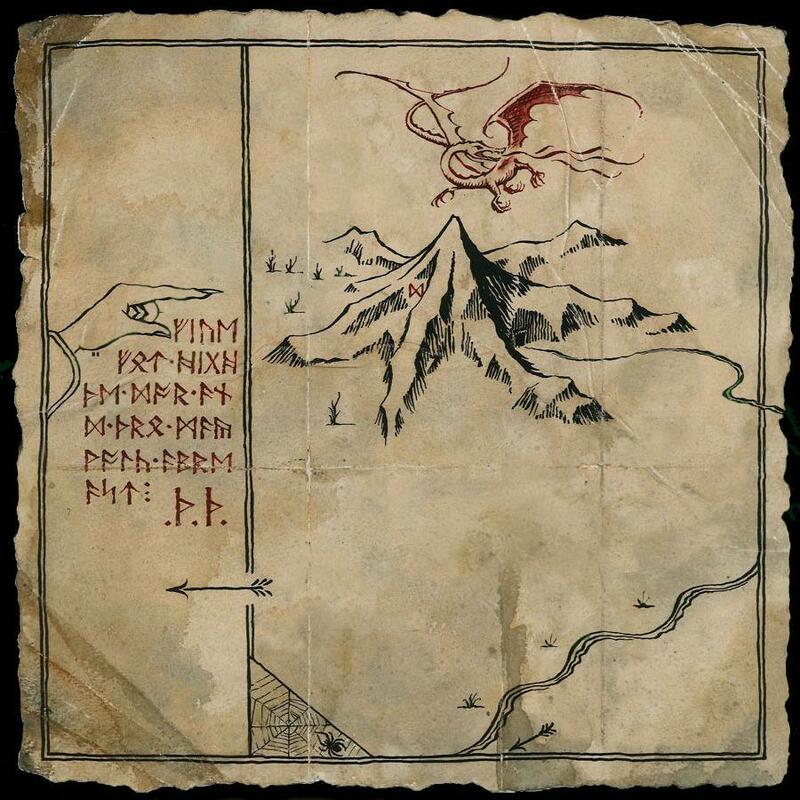 By the way, the background image is in fact not the “Erebor“, but just some random picture you’ll find, when you google for “Misty Mountains”. After watching the movie and losing myself in numerous Hobbit-related message boards, I learned, that one of the track titles, “The Hill of Sorcery”, was in fact the translation of the elvish name “Dol Guldur“. The sequence in said ruins of Dol Guldur was by far my favourite part of the movie. I took that as a chance, to create a darker, more menacing version of the soundtrack cover (#14). 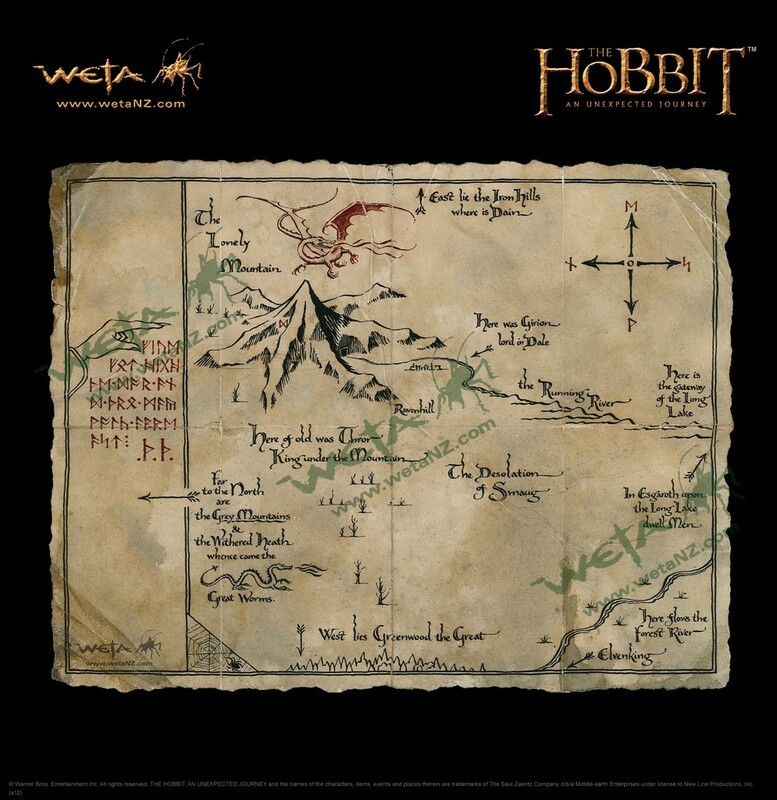 Which wasn’t that easy by the way, since almost all the promotion material of The Hobbit is quite lovely and colourful. The following gallery was almost entirely made up from customs I’ve created during winter 2014 – two whole years after the initial release of this cover series. I’ve had such a great time doing custom artworks for The Battle of the Five Armies, that I’ve decided to expand my other Hobbit entries as well. These custom covers range from my eagerly awaited shot of Bilbo’s home door (#15) and DVD/Blu-Ray artworks (#16, #17) to book covers (#20) and entirely selfcreated designs (#22). I’ve created a handdrawn cardboard version (#23) of the Standard Edition soundtrack (#2) as well. The Limited Edition was pretty hard to do and took up a few trys before I went on track. But it was nothing compared to the single artwork for “The Song of the Lonely Mountain” (#24), which was definitely the most challenging cover within this series. It took me over three hours to get it right. 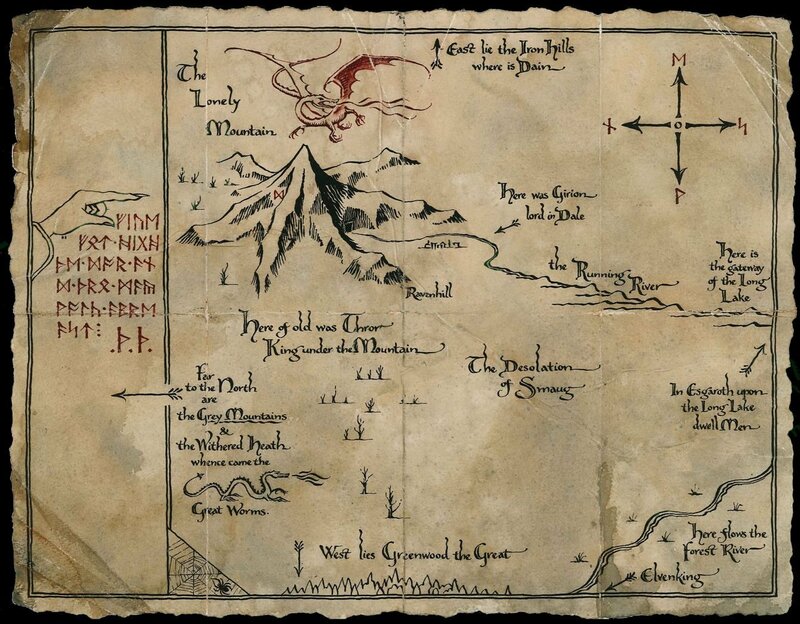 I already had a finished concept in my head, but finding a good source for Thorin’s map was the first challenge. I went with an image directly from WETA and had to remove the copyright stamps all over it – which was unbelievably draining! Two hours later, I cropped the image to a square and made sure, that all the lines, writings and background textures blended in nicely. The last and most rewarding step was picking single letters from the source image to assemble the cover’s credit and title text. It felt like a crossword puzzle, copying and pasting one letter after the other, to finally get the finished text. I added it to the finished cover artwork and aaawh… pure pleasure! To round it off nicely, below you find a few character shots turned into custom soundtrack covers, bringing this series to an incredible number of 30 artworks to choose from. And for all CD purists out there (who still import their CDs into iTunes), here’s the digital booklet that came with the digital Special Edition. Reblogged this on star date. fantastico, bellissime! sei un genio!!! Drop me a mail and I’ll send you some of my old LotR customs.